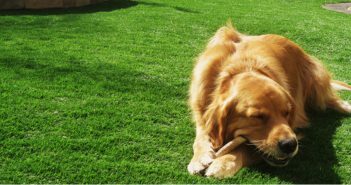 You are at:Home»Posts Tagged "artifical turf"
Pets like dogs, give fulfillment especially when a person arrives from a busy day at work. These cute and cuddly animals are also very much willing to run after you every time you feel alone and don’t have somebody to talk to. Their warm gesture of “licking” your face is enough proof that they will stay beside you no matter what. Their loyalty and unconditional love as an everyday companion is very difficult to equate these days. Many of us experience being forsaken by our dearest friends, but never in the case of dogs. Certainly, everyone can relate that they are truly a “man’s best friend”. Despite of being too sentimental about the matter, why not use it as a motivation to repay our well-mannered pets as we provide them some of the best things that life has to offer? Giving them unique gifts is not an indication of spoiling them; it’s a clear demonstration of our affection. Even though some owners think that dogs will find it hard to understand, their innate animal instinct will serve as a clue that what we did is a desire to show appreciation to them for making our lives complete.